James Montgomery passed away on the 28th of October of a lung condition. Jim was most known for his positivity and sense of humor. He would always look on the bright side of every scenario leading to him being able to find the most positive path. He was never shy of helping others. He was in the Air Force and then worked as an electrician on oil rigs. He was one of the best and held many certificates to prove it. He was always quick on his feet and maybe I’m biased as his daughter but he had the answer to everything. Whatever I asked he could tell me. He was so smart! He always taught me that I would always accomplished my goal as long as I worked for it. Jim had 4 daughters, 7 grandchildren and 1 great-grandson. When introduced to his great-grandson he said, “I built a dynasty”. He was proud of every member of his family. He was a cherished friend and an excellent father. 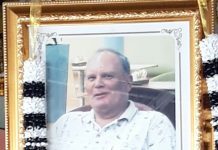 He was an active man that went on early morning walks every day down the beach. He was also a big fan of golf. Loved to watch it but loved to play it even more. When he was younger he played a lot of basketball. 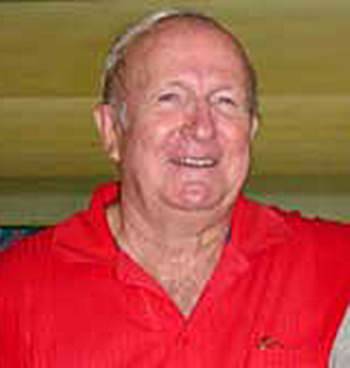 Jim had lived in Pattaya for around 30 years and was an active member of the community in many aspects. 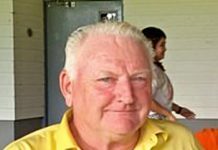 He was involved in the Pattaya Sport Club as a life member and was the golf chairman and bowling chairman for several years. He was even the vice president of the PSC and took the role of president too.